This theory-based workshop is designed to teach you about horse psychology and learning how to think like your horse. We will focus on the importance of body language and how to create an equal partnership with your horse based on trust, whereby you can become the leader for the horse and establish a willingness for work. 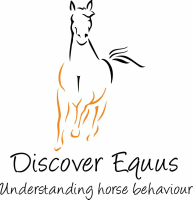 This workshop will allow you to understand why your horse behaves the way it does, enabling you to become more patient. We will tackle common problems seen, such as spooking or napping and how to overcome these issues. Please contact Anna at discoverequus@gmail.com now to book your place.